According to Bryan Cox, Immigration and Customs Enforcement (ICE) spokesperson on On Feb. 3, 2019, Grammy-nominated rapper 21 Savage was arrested in Atlanta. ICE says he is illegally in the United States. 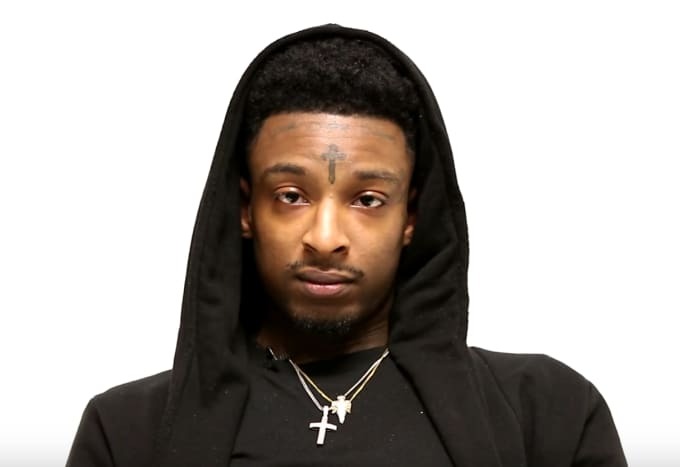 Cox reports 21 Savage, whose name is Shayaabin Abraham-Joseph, is a resident of the United Kingdom. It has been alleged in July 2005, 21 Savage entered the United States legally as a minor and did not follow the terms of his nonimmigrant visa. 21 Savage’s visa expired in July 2006, and he remained illegally in the United States. Dina LaPolt, 21 Savage’s attorney, reported that she is presently working to secure his release. LaPolt also added that the rapper is a role model for young people in the country, helping underprivileged children. Cox reported in October 2014, 21 Savage was convicted on felony drug charges in Georgia after he was arrested in a sting operation. 21 Savage is featured on a song by Post Malone entitled “Rockstar” which has been nominated for Best Rap Performace and Record of the Year at the 2019 Grammy Awards scheduled for February 10. In December 2018, the rapper apologized for using the term “Jewish money” in one of his songs. Later that same month, LeBron James quoted on his Instagram the same term quoting 21 Savage’s song. After a media uproar, James offered an apology.